Getting equipment financing can be a short, streamlined way to finance up to 100% of the value of tow trucks, boom trucks, trailers, embroidery machines, screen printing equipment, or any other type of equipment you need. When you need new equipment for your business, getting equipment financing is a smart fiscal move. You can use these loans to purchase nearly any type of business equipment, but how much you can borrow depends on the type of equipment you’re buying and whether the equipment is new or used. 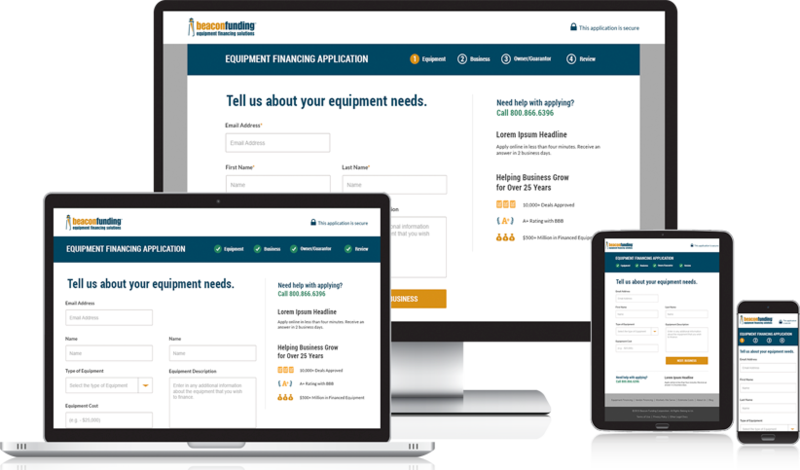 Most businesses can qualify for equipment financing. How much you qualify for - and the interest rate you’ll pay - depends on the value of the equipment, your business history, and credit rating. My consultant has been a terrific rep. He answers questions and is proactive in solving problems that pop up. I met my consultant at the ISS in Atlantic City show and before the week was out, he helped me purchase a Barudan embroidery machine quickly. That kind of effort is what has earned my loyalty. Beacon did everything they could to help us out in a very timely manner. Our consultant was especially helpful as this was our first foray into equipment financing. Everything was very clear upfront, no surprises at the end. My consultant is a 15 on a scale of 1 to 10, 10 being excellent. Always on top of things, quick, and of course thorough. To begin, we need to know more about you and your company. 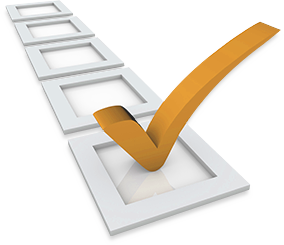 Simply fill out our no-cost, no-commitment business application online to get the ball rolling. It only takes 2 minutes to complete! Within 24-48 hours, one of our expert financial consultants will contact you to discuss your equipment financing needs, and will answer any questions you may have. Put it in writing by filling out the appropriate documentation we request. We'll be standing by to approve your deal and make it official. 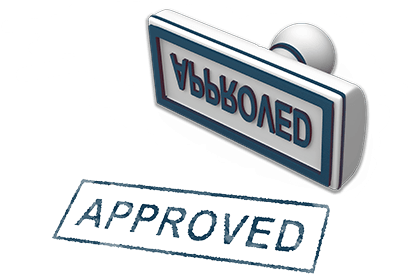 Upon acceptance of the financing agreement, we will issue a purchase order to the vendor. They'll ship the equipment to you or you can pick it up. 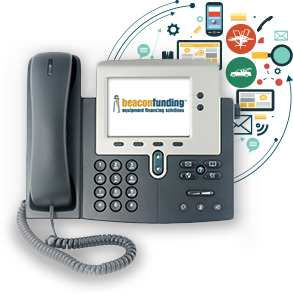 Once the equipment is in your possession, your lease with Beacon Funding begins and you are on your way to expanding operations and taking your business to the next level. Now, start taking on more work and earn the revenue you deserve. Conserve your cash for times when you need it most. Avoid the rising cost of money and lock in a low monthly payment. Section 179 brings tax advantages with equipment financing not available with cash or a traditional bank loan. We're the most competitive option for your new business to acquire equipment. By establishing credit with Beacon, it will be easier to acquire your next piece of equipment. Acquire equipment today without being subject to this year's capital budget restrictions.